The NTC has, with great sadness, advised of the passing of their Cheif Executive Nick Dimopoulos. FRIENDS, family and colleagues of National Transport Commission Chief Executive Nick Dimopoulos, paid their respects at his funeral yesterday. On Monday the NTC released a a statement saying their Chief Executive had passed away. 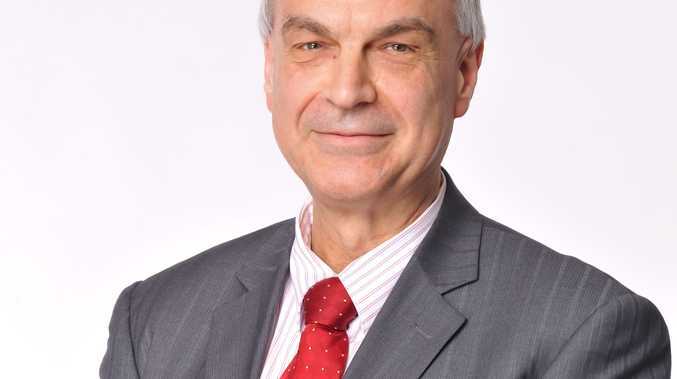 "It is with great sadness that the National Transport Commission (NTC) advises of the passing of our Chief Executive Nick Dimopoulos," the statement said. Tributes have come in for Mr Dimopoulos, who has been described as a visionary and a tireless champion for transport reform. Another tribute came from Transport Minister Anthony Albanese, who stood up in parliament to speak about Mr Dimopoulos' contribution to the industry. Mr Dimopoulos passed away on February 8, surrounded by his family. "The Commissioners and staff of the NTC honour Nick's tremendous contribution to our organisation and the Australian transport industry. "Nick was a visionary, a tireless champion for transport reform and a proud father and husband. "Nick's positive influence on the NTC and the transport industry generally will be felt for years to come," the NTC said. Continuing on his his legacy donations have been made in Mr Dimopoulos' name to the Walter and Eliza Hall Institute of Medical Research in lieu of flowers. The NTC has said Mr Dimopoulos treasured his three children and wife Stephanie. "We will miss Nick's leadership, collegiality, fierce intellect and mischievous sense of humour." George Konstandakos will continue in the interim as the NTC Acting Chief Executive. Transport Minister Anthony Albanese informed the parliament of Mr Dimopoulos' passing on February 11. "Mr Dimopoulos made a major contribution to the work of the Commission since his appointment in 2006, and I greatly valued his advice," he said. "The Commission plays a leading role in driving national transport regulatory reforms, and Nick's leadership and guidance will be missed by Ministers and officials from across the Commonwealth, states and territories. "In the past three years Nick and the Commission have worked very hard to implement the historic national regulator reforms, which will provide Australia for the first time with a seamless national transport regulatory system." Mr Albanese said Mr Dimopoulos, who was also Commissioner of the National Transport Commission, was committed to improving Australian transport safety and productivity. "Nick's professional career spanned industries such as mining, logistics, finance, infrastructure and transport. "Prior to joining the NTC he held senior positions in both the public and private sectors. "He headed up the Committee for Economic Development of Australia and worked in the Victorian Treasury and on World Bank infrastructure projects in China. "His dedication and professionalism will be sadly missed."